What does Martian wind sound like? Now we know as for the first time in history sound has been recorded on another planet's surface. 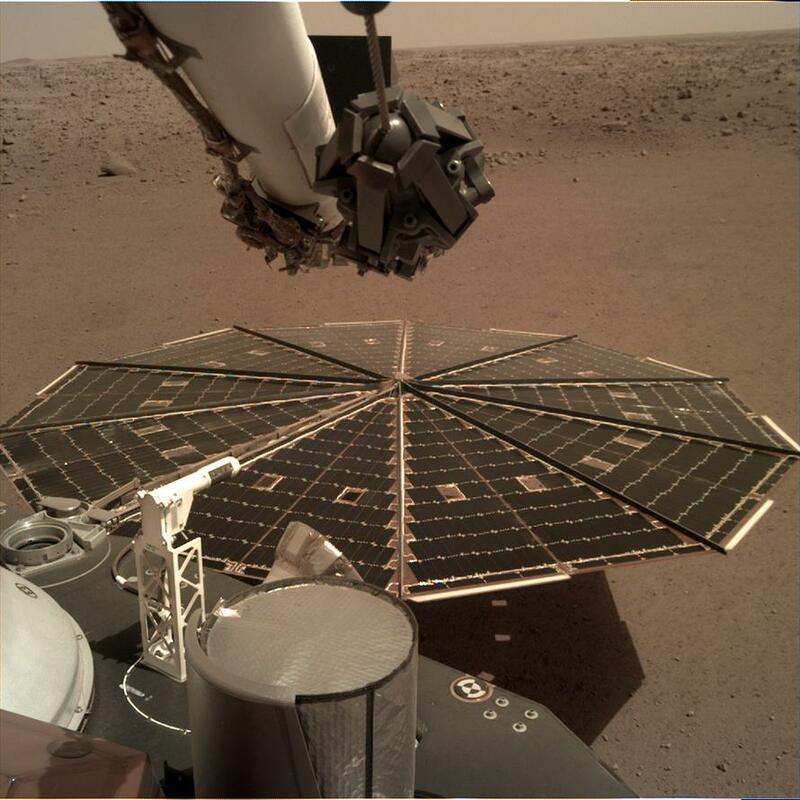 On Friday NASA released audio from its InSight Mars lander, which touched down on the planet's surface last week and transmitted audio of wind and vibration sounds deflecting off the lander's 7-foot solar panels. Scientists did not initially expect to capture such clear sound and were surprised upon listening to the transmission. NASA's Jet Propulsion Laboratory stated in a press release, "Capturing this audio was an unplanned treat"... "But one of the things [the InSight mission] is dedicated to is measuring motion on Mars, and naturally that includes motion caused by sound waves." Scientists described further of the advanced senors that picked up the Mars audio: "Two very sensitive sensors on the spacecraft detected these wind vibrations: an air pressure sensor inside the lander and a seismometer sitting on the lander's deck, awaiting deployment by InSight's robotic arm." And further the sensors act as the rover's "pair of ears," according to the NASA description: "The two instruments recorded the wind noise in different ways. The air pressure sensor, part of the Auxiliary Payload Sensor Subsystem (APSS), which will collect meteorological data, recorded these air vibrations directly. The seismometer recorded lander vibrations caused by the wind moving over the spacecraft's solar panels, which are each 7 feet (2.2 meters) in diameter and stick out from the sides of the lander like a giant pair of ears." This is historic. It's the first time anyone has ever heard a sound on Mars. @NASAJPL just released audio of wind blowing across the Martian landscape, captured by the Mars Lander's audio sensors. In two years the Mars 2020 rover expected to launch and will have two microphones on board for clearer sound recording. The current rover traveling Mars' surface, InSight, landed on November 26 after traveling for seven months and some 300 million miles through space. Its mission is explore the planet's deep interior while analyzing seismic activity on the red planet.